Our US cousin and inspiration, ScotUSblog, reports today that US Supreme Court Justice Ruth Bader Ginsburg spent last night in hospital after experiencing an adverse reaction to medication on her way to London for the opening ceremony of our Supreme Court tomorrow. It seems that the 76 year-old judge was actually on the plane to take her to London (although we assume it was still on the ground in Washington) when she complained of feeling ill and fell off her seat. She was taken to hospital where the problem was diagnosed as an adverse reaction to a sleeping aid combined with cold medication. 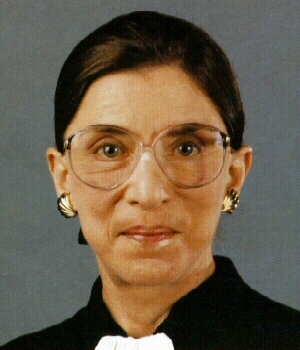 It seems that Justice Ginsburg will however now miss the opening ceremony. Chief Justice Roberts and Justices Breyer and Scalia are still attending. UKSC Blog wishes Justice Ginsburg a speedy recovery. Justice Ginsburg was taken ill on Thursday 24 September but recovered quickly and was back working at the Court the following day. Justice Ginsburg can be seen on video in this interesting conversation with Lady Hale on the British and United States Legal Systems on 24 January 2008 at Georgetown University. Mr Benjamin Pell has drawn our attention to a video of a 1 hour 17 minute discussion with Justice Ginsburg on the C-Span Network in their “America and the Courts” series. Leave a reply on "USSC Justice taken to hospital on way to London"